South Korea’s LG Electronics and GS Caltex Corp. have signed a memorandum of understanding to collaborate on creating the next-generation of service stations, which will include charging facilities for electric vehicles. GS Caltex will convert its existing service stations to “Energy-Mobility Fusion Stations,” where 350kW fast chargers will be installed by LG Electronics as well as smart robotic chargers and wireless charging stations in the future. Another innovation in the works is an artificial intelligence-powered digital signage that conducts a vehicle check-up while it is being charged. 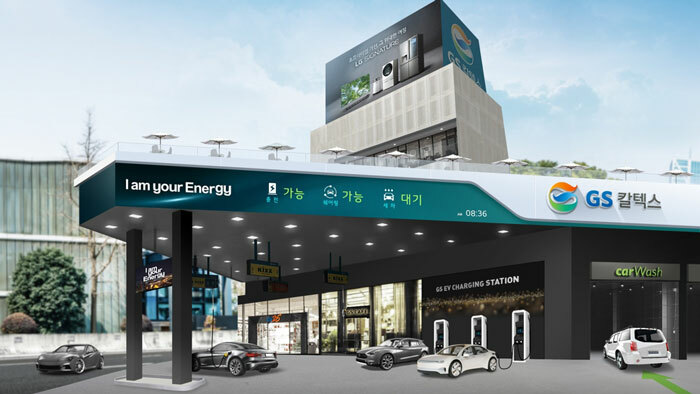 The companies expect to open their first future service station in the second half of 2019, starting in Seoul’s metropolitan areas and later expanding nationwide. The project will be conducted as part of efforts to expand and renovate GS Caltex-owned stations. In addition to traditional services it currently offers, GS Caltex plans to add a host of new offerings catering to electric vehicles, such as electric chargers, car sharing and maintenance and repair. GS Caltex, South Korea’s second-largest oil refiner, has nearly 2,500 service stations nationwide.